On Friday I made the long trip to Co Cork to revisit some locations for more photos and to see places of interest. 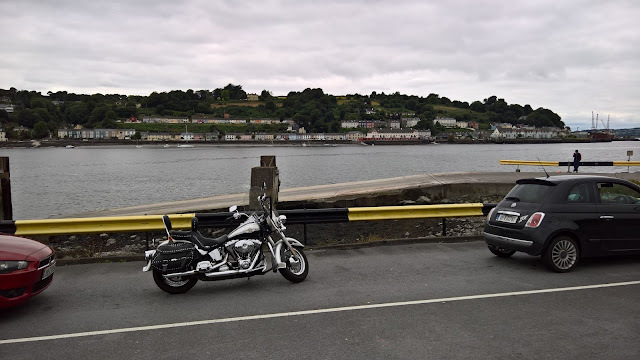 On my previous visit in 2012 I skipped parts of the Cork coast near Crosshaven, and I had few photos from Cobh - so it made a nice day out to go back again. First stop was at the Titanic Memorial garden. 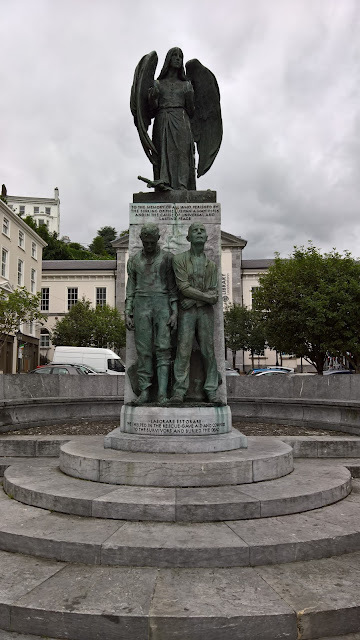 Cobh (formerly Queesntown), was the last port of call for the Titanic in 1912. 123 passengers boarded here of whom 79 were drowned. All the names are listed on a glass memorial at the centre of the garden. 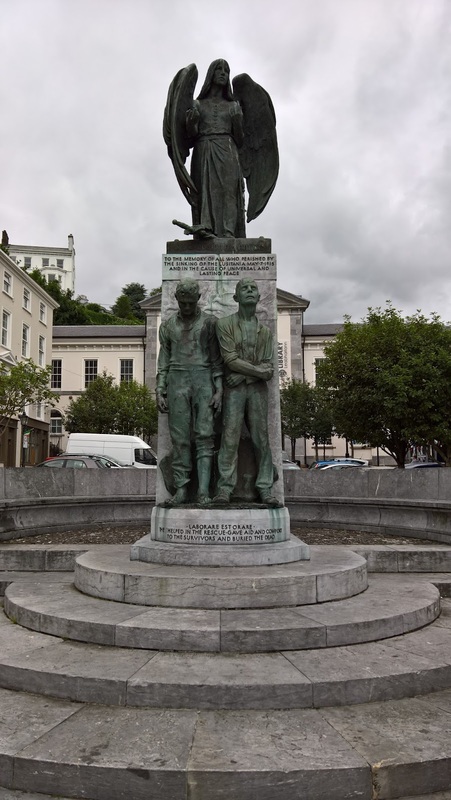 There is also a Titanic Experience attraction in the centre of the town. 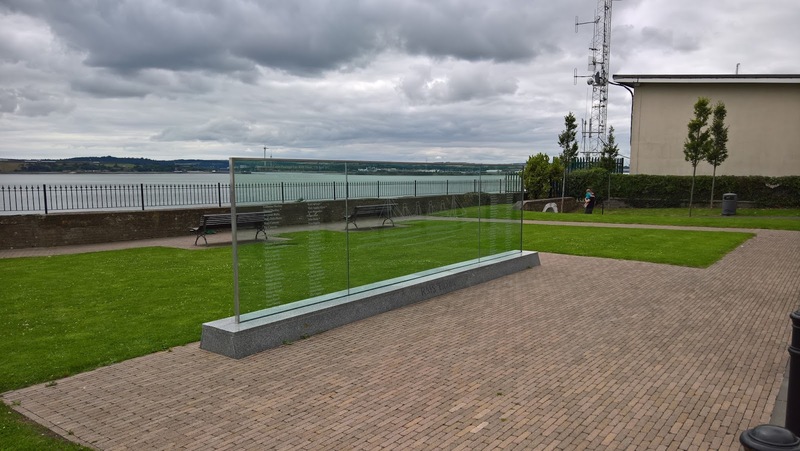 Cobh also has a memorial to the sinking of the Lusitania on 7th May 1916. Many of the dead and survivors were brought ashore at this spot - 170 of the dead are buried in a nearby cemetery. It is also a short walk from here to the imposing St Colman's Cathedral. Building began on the cathedral in 1867, but it wasn't until 1915 that it was consecrated. It was designed by Edward Pugin (son of the famous architect - A.W.N. Pugin) who designed many other churches in Ireland. 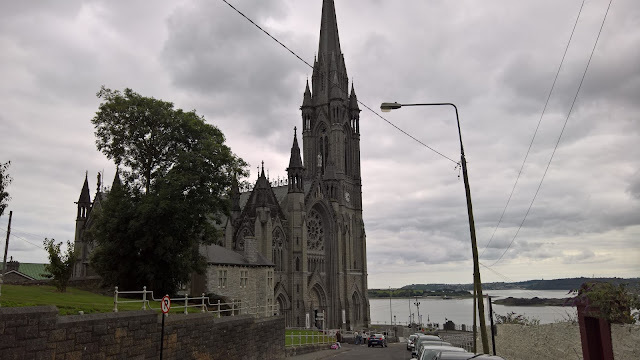 Having enjoyed a walk around Cobh is was time to depart for the second part of my trip and head to West Cork. I took the short Passage West Ferry to avoid going around via Cork City and the Jack Lynch Tunnel. This ferry service was opened on 17th March 1993, and at the pier there is a bust of Bryan Foley who was the lead campaigner for the introduction of this service. The crossing only takes a few minutes and is worth the €4 fare. My destination is Church Bay on the west side of Cork Harbour, it is directly across from Roche's Point on the eastern side. More about this part of my trip tomorrow. 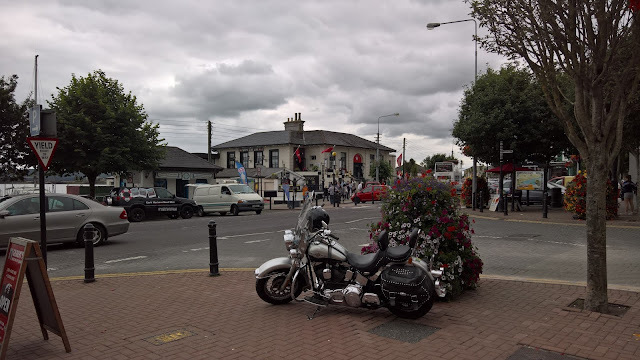 Waiting for the Passage West Ferry.